A tasty & nutritious light meal that will impress your dinner guests! These delicious Paleo wraps would cure any meat-lovers cravings... delicious bacon, salad and avocado wrapped in lean beef schnitzel. This delicious curry is packed full of flavor and is great served on top of a bed of cauliflower rice. A great dish to make for a family dinner, especially on a cold wintery night! 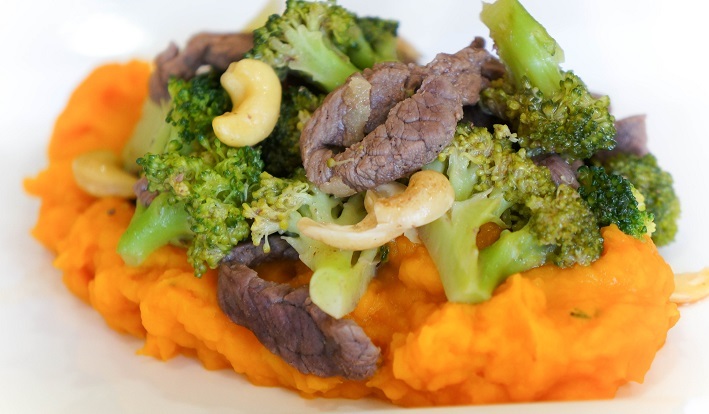 A delicious beef and mushroom recipe which goes great with a sweet potato mash and your favorite green vegetables. This is an easy and delicious Paleo Bolognese, served with zucchini noodles. A yummy steak dish that the kids will love. Great for dinner or lunch!